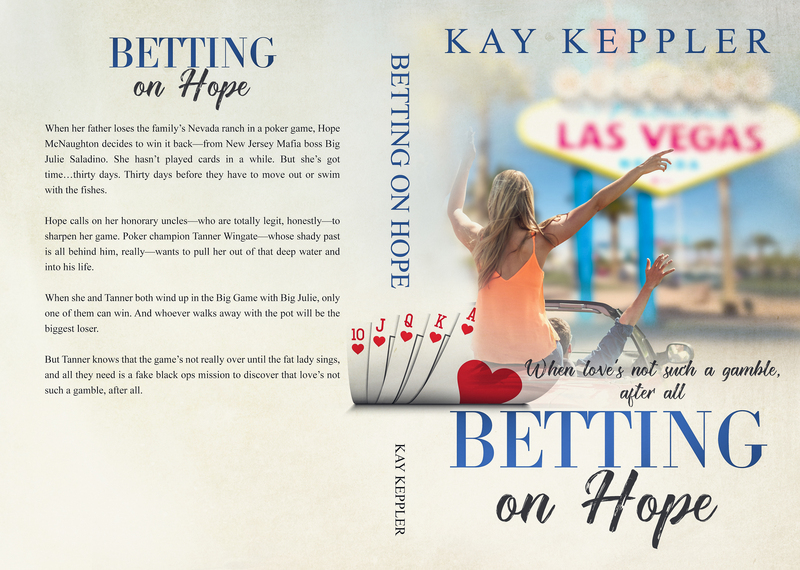 Not long ago, I decided I wanted to get a new cover for my book Betting on Hope. I discussed in this blog post that I wanted to have a print cover made, and I thought it was time to refresh the old cover, which had been designed in 2011. The cover on the left is what I had. I hired a designer from the Fivrr site and paid the artist $42 to do a new cover. She did a good job with what I gave her, but I picked the wrong image and decided I wouldn’t switch. The cover below is what she gave me. A few of our blog readers thought I should use the original image and just go with a new type treatment to spruce up the cover look. I didn’t have the image or the InDesign or PhotoShop file from the original designer, which is customary in the design world, and I couldn’t find the original image on the site from which it had been purchased. In a miracle of skill and organization, Michaeline and Jilly tracked down the image for me. And then heartbreak ensued, because while the image was found, it cannot be purchased from that location. The site says that “most” of its images were migrated to two other sites for sale, but neither of them has it and won’t be acquiring it. So with that possibility gone, I went back to the drawing board and purchased the photograph on the left, which I thought sufficiently conveyed the mood of my book. Then I hired the same artist on Fivrr who’d designed the purple cover. I asked her to crop out the woman in the red top and to make sure that the man driving the convertible is also cropped out. The cover below is what she came up with. Note that she used the first purple cover as a template for this cover. I’m not disappointed, exactly—for $25, I’d do exactly the same thing. But I would have liked to have seen a different look. However, I like a lot of things about this cover. I picked a better photo this time: The color palette is right and there’s some juice in the image. The artist did a good job cropping out the people I didn’t need and screening back the less important visual elements. What’s important in the image is central on the cover, leaving a lot of breathing space for the type. I like the type treatment, and she does a reasonable job incorporating the cards on the left in such a way that they can be seen without overwhelming the space. What is not as good, in my opinion: In a perfect world, the image would have had a couple front and center, rather than a prominent woman and the hand and a small bit of the head of a guy sticking out. Still, I think readers can tell there’s two people there and they might assume they’re a couple. What are imaginations for, otherwise? In addition, I had the designer make my name bigger than it was on the purple cover, and it could be bigger still. 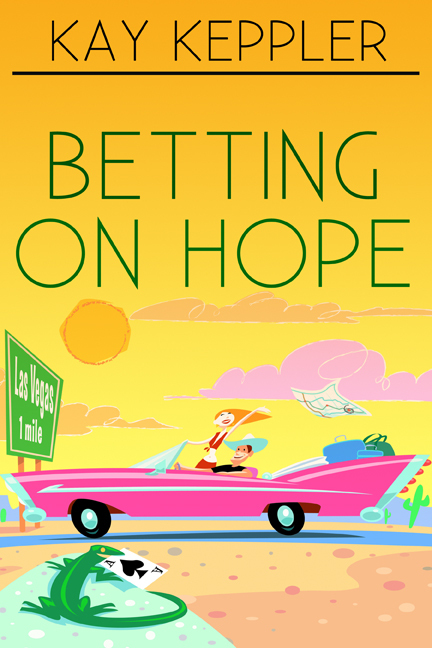 The kerning on “Betting” is poor, making the word just a teensy bit hard to read. The photo on the cover is less vibrant than the original, because of the screening. The woman looks like she’s sitting on the ace of hearts, which is a little weird. I might ask a second designer for a treatment with this photo to see what I get, and then maybe run a survey on PickFu to see what “wins” with romance readers. But if I don’t get around to that, I think I’ll just go with this cover. First and foremost: Buy your cover image yourself and send it to the designer, rather than have them suggest image banks at which they have a discount. It’s almost unbelievable that images would eventually become unavailable, but it does happen. If you own it, you can use it forever. The next thing is about me and not cover design: I’m not that fussy about my covers. In part that’s because I’m not convinced that a cover sells the book. I think you need a professional-looking cover to get readers to pick it up, but after that, the back cover copy and the first page (or maybe a previous exposure to your work) do the selling. I just bought a paperback by a very well-known historical author, and the cover, in my opinion, is no better than meh and maybe not that good. But the book is selling gangbusters. For me, if a cover ticks the boxes, that’s enough. Does it get the job done? That is, does it tell the reader what the genre is? Does it convey the right mood, and does the image reflect the content? Is the type clear and large? If so, I’m fine with it. I want to spend my time doing what’s fun for me—writing, not production and marketing. And budget is always a consideration: I want to spend some money this year on ads and I don’t want to blow my entire budget on covers. What about you? And what do you think about this cover? This entry was posted in Covers and tagged book covers, Kay Keppler. Bookmark the permalink. 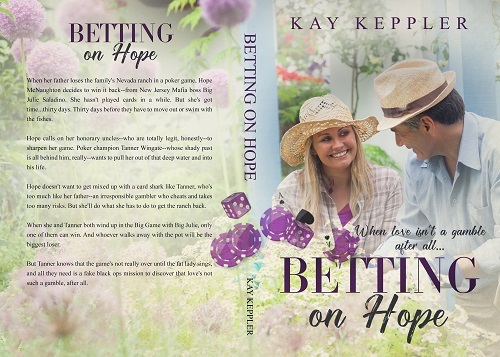 Things I like: I really like the fonts used for your name and for ‘Betting’, but something about the contrasting one used for ‘on Hope’ confuses my brain. Sorry, that’s not very helpful. I can’t articulate what it is. And I very well might be the only in the world with the problem, so there’s that :-). Your new image is much more lively and modern, and the designer did a good job of removing the elements you didn’t need. My favorite thing about this post is that you know what part of the process you like – writing the story – and you want to spend most of your time on that. In the end, that’s going to give the reader the most important thing: a great story to read. Do as much or as little as you want to with your cover, then get the story out into the world for it to find its people! Type fonts: One of the good things about “Betting” being in a different font is that the recurring motif in this book is high-stakes poker games, so the font points to that, maybe too subtly. I’m sorry it looks off to you! Totally agree about spending your time and energy on the parts of the process that are most fun for you. I think you got excellent value for your $25 ($25!! ), and I hear you re not being too picky about covers. I agree that as long as the end result is professional, a degree of pragmatism is called for. I’m reluctantly coming to terms with this for my Christal and Alexis books, as the epic fantasy/romance sub-genre is full of illustrated covers; I love, love love them, but I simply can’t justify the indulgence before I’ve sold a single book. Thing is, when I look at the three covers above, I see three different sub-genres as well as three different moods. To me the bright yellow cartoon cover suggests a zippy, peppy, comic adventure, maybe with elements of farce; the misty purple one looks romantic, cosy, warm and emotional; and the new, blue and beige one, as Nancy says, suggests Women’s Fiction (though I s’pose the tagline suggests there will be some romance). Probably a light, fun WF road trip or adventure. Thank you for sharing! It amazes me now that I spent so many years choosing and buying so many books in perfect cover design oblivion. I wonder if I hired a designer and asked them to do a photo search if they’d come up with something zippy and peppy, like the yellow cover (only different, since that one is unavailable)? Thing is, usually they ask you to choose the photo, and I’ve already looked at a million. Most of the card-playing/Vegas ones are on a black background with a smoking, drinking, sultry femme fatale. The card playing couples show the man winning and the woman hanging over his shoulder. I hate that, and besides, in this book, my heroine is the card player. The Las Vegas sign is often photographed with a couple jumping up in front of it (why? I wonder) or at night, I think because in daylight, the signposts and palm trees, not to mention the road signs, guard rails, and whatnot of urban life make the image too busy. I could keep looking, though. Nothing says I can’t do several covers in search of a better one. I know what you mean about having gone decades buying books without thinking of their covers. And we still buy books with covers we wouldn’t hang as wall art. Now that we have to think about these things, though, we become hyperaware of all the issues. It’s a pity you might not get the illustration(s) for your books that you most desire, but the costs do add up. Like anything, it’s a choice. These are your babies. You want the best for them. Does your baby have to have the nicest dress? Or does it have such a winning personality that it could wear a rag and everyone would still love her? Only you can decide. 🙂 My baby’s wearing—well, not rags. Maybe hand-me-downs. The great thing about e-publishing is that you can try the new cover, and if it doesn’t work, change it for another new one until you find one that does. At $25 per pop you could afford to experiment a little. Well, that makes sense. Also, maybe when she’s grown into a whole series, famous fantasy illustrators will beg you to let them design your covers for free, for the honor of dressing your baby. Could happen! And yes, at $25 a pop, I can experiment. In fact, I probably will. Cute!.I like the way the cards wrap around onto the spine. I like the new one so much better than the purple one (still very fond of the comic, though). For me, purple is for mourning, or for mystics, or for deep thinking and concentration. The purple dice faded into the background, and all I could see is that girl in a sunhat (and upon reflection, purple dice are even MORE mystical and fateful than just plain dice). The hearts hand is much better suited. And yeah, the guy is fading into the background, but he is still there! The only criticism I would really offer is that picture dominates the title. However, is that a bad thing? 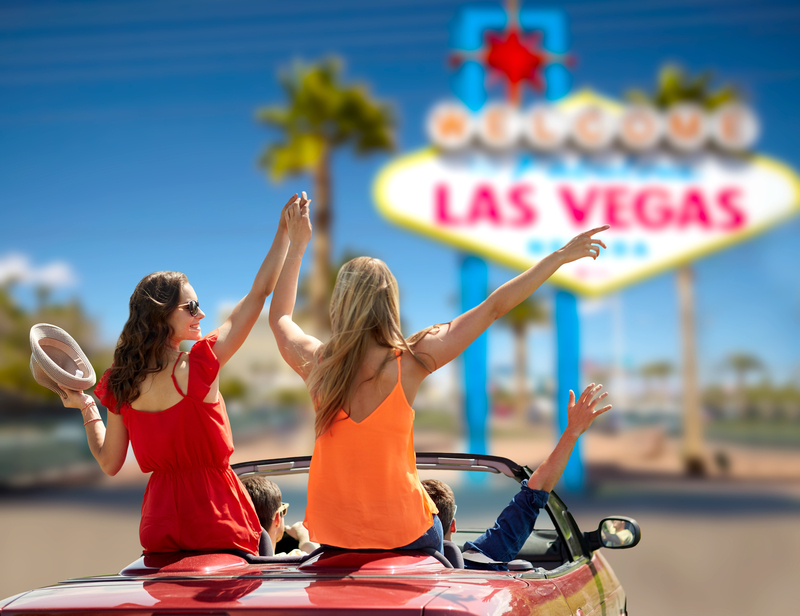 I love the way the girl’s hand points to Las Vegas and adventure! That probably says a lot more about the book than anything else?